I went to E-N@il counter and let the lady did my nails again! I chose a very lady-like design this time. 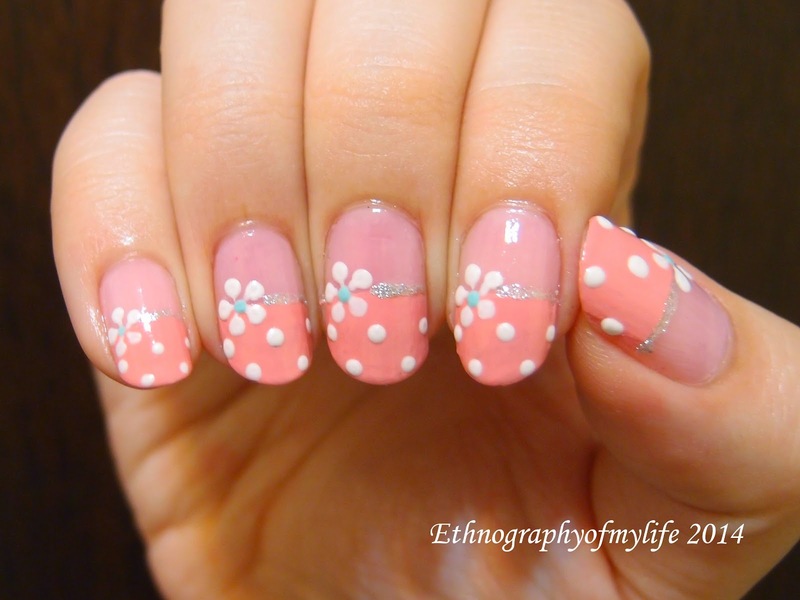 Actually, I feel that E-N@il nail manicure choices are curator especially for Asian ladies, most of them are girly and cute designs. Usually, I like more colorful and vibrant designs, but since I got free coupons to get my nails done, why not? Indeed, the counter lady did a very good job! 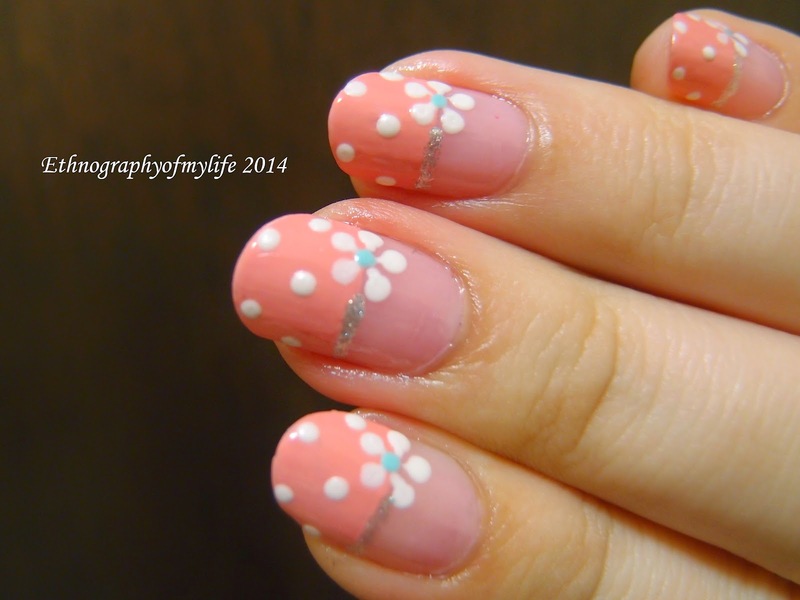 I like the light salmon pink on the tips to go with that Tiffany flower stamen, the light blue brights out the salmon pink color combination. I might need to get my hands on that Tiffany blue too(? ), it's such a lovely shade for the summer (guess that E-N@il provided free manicures to lure people in lol).